The year of the NO UFO's has started well. I attached the binding on one of the quilts I received back last month from Margaret so I've been working on binding that. I plan to attach the bindings on the other two quilts and get at least one more bound by the end of the month. This month's Schnibble is Sunday's Best. I was very lucky that I already had this one in house since I picked it up last month with Madeline. I debated what fabric to use and was very close to buying Oz by Sanae (I love that line) to make it but recalled that I had several Charm packs from a mystery line that I bought when I went to Houston in October so I am going with the Zero expense this month and using that. I think the line is from Benetrax but I don't really know. If anyone knows the name of the line and can share, I would appreciate it. 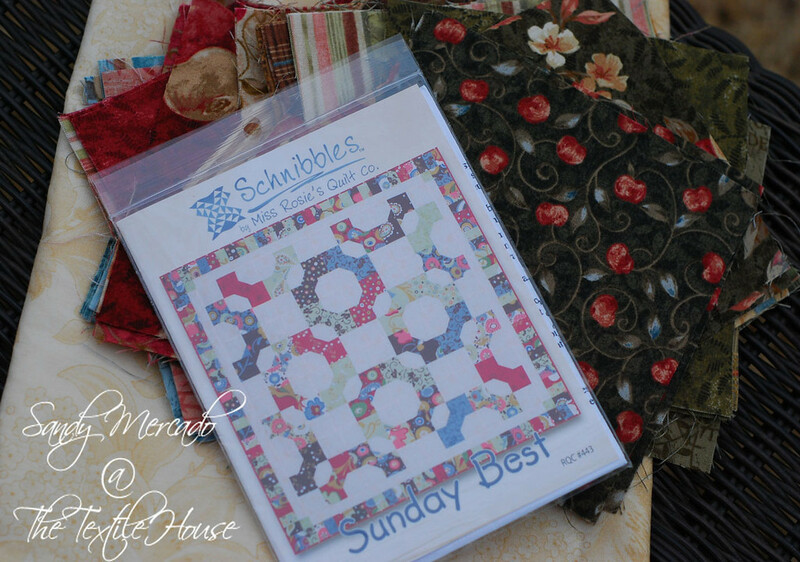 I am going to start my BOM by sewing the first month's blocks. There are 4 blocks per month. I bought the kit last month while on retreat and since I decided to start this month I am really a month behind. If I can, I'll start on the next months but my goal will be to finish one month's block. Hidden Stars is almost finished. 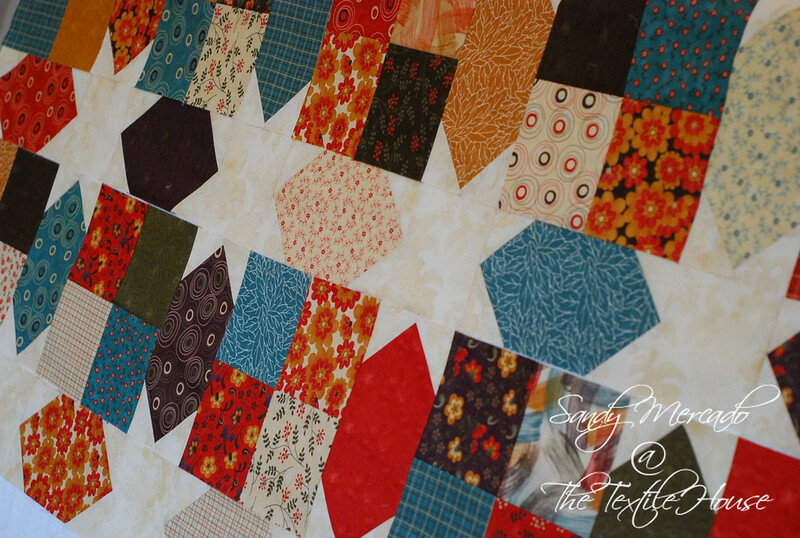 I am adding the last few rows this weekend and then it's off to get quilted. If it arrives back by the end of the month I'll be binding it quickly to wrap up the month with that. Not bad for a short month, but I really need to step it up. Can you believe that this coming weekend will put us in the middle of the month? I think I might need a day off just to get some quilting done. Hope your month is fruitful!! 5 comments on "February at a Glance"
I think that line is called Cider Mill Road; it's by Nancy Halvorsen. I love that line! I think it will be stunning. And your hidden stars is amazing. You're looking good for such a short month. Woo-HOO! Way to go Sandy! Good Luck with Sunday Best. My favorite quilts in the parade are the ones with fabric different from the fabric used by Carrie. That BOM is something, a family treasure when that one's done. I know, February is so short, and my January goals used up 2 days of this month! No dilly dallying for me! Great projects for February. Love the hidden stars. Those are all beautiful projects!Looking forward to seeing them all done. 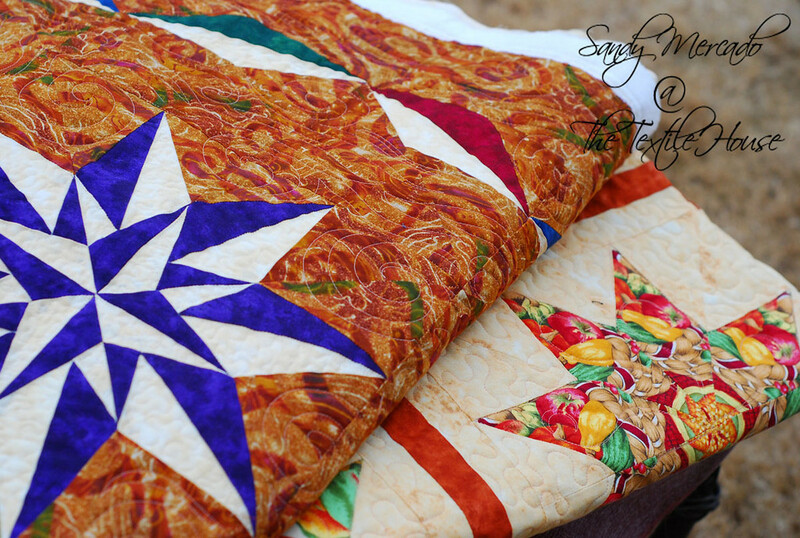 I love how you used such bright fabrics in your Hidden Star Quilt. 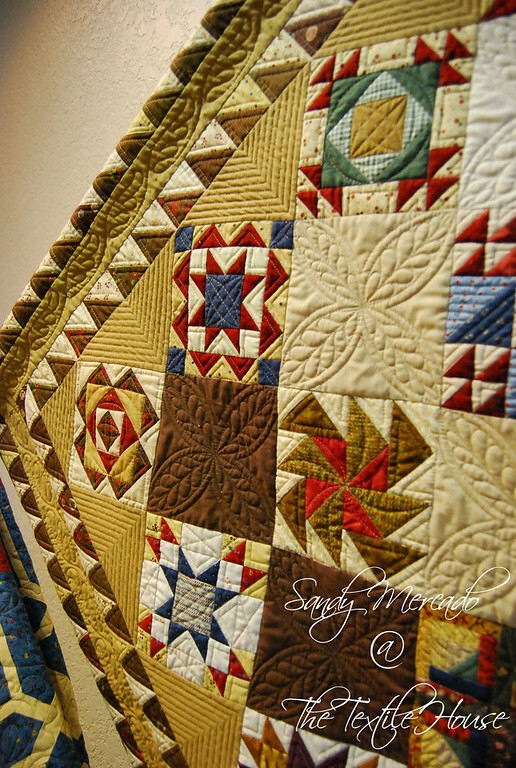 It is fun to see someone else make the same quilt as you but with different fabrics. Yours is awesome.